Kevin McNeill started as an internship placement coordinator in Sport Management in February 2019. Previously, he worked in the Le Moyne College Department of Athletics as the Associate Athletics Director for Marketing for 12 years as well as at Syracuse University as a Marketing Coordinator from 2004 to 2007. As an internship placement coordinator, he provides advising and counseling to undergraduate students that includes general academic advising as well as career exploration. He assists students with networking and works with students throughout the senior Capstone process. He will also teach SPM 201 and SPM 455. While at Le Moyne, McNeill oversaw the marketing and communications for the Division II athletic program. In that role, he led programming in brand development, revenue generation, digital media and video production. 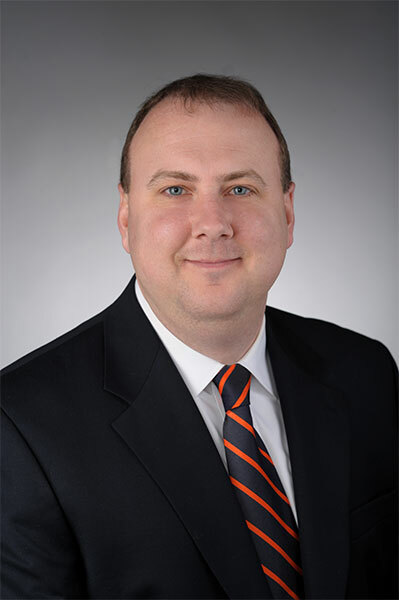 Previously, he served as the Marketing Coordinator at Syracuse University Athletics supporting the department’s broad-based marketing initiatives with a focus on game-day promotions, marketing campaigns, ticket sales, advertising and graphic design. McNeill is a graduate of Ohio University with master’s degrees in Business Administration and Sports Administration; and Le Moyne College with a bachelor’s degree in Business Administration.